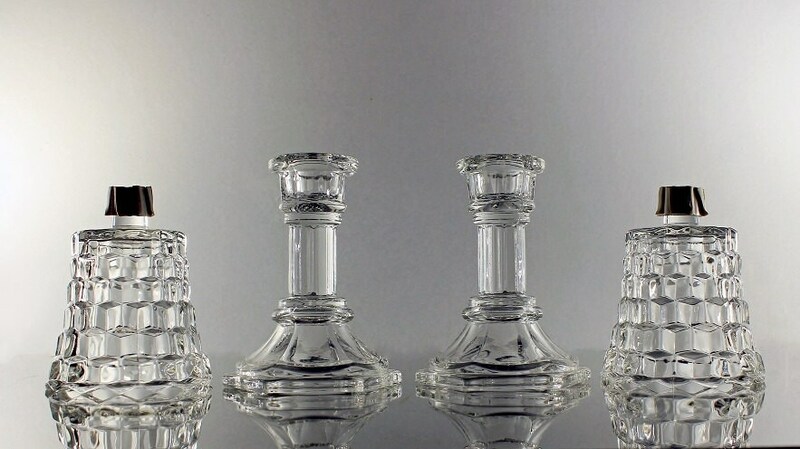 Eye-catching 2 piece candlesticks with a removable etched peg votive holder. They are made by Colony in the Whitehall Pattern. This pattern is a stacked cube design. 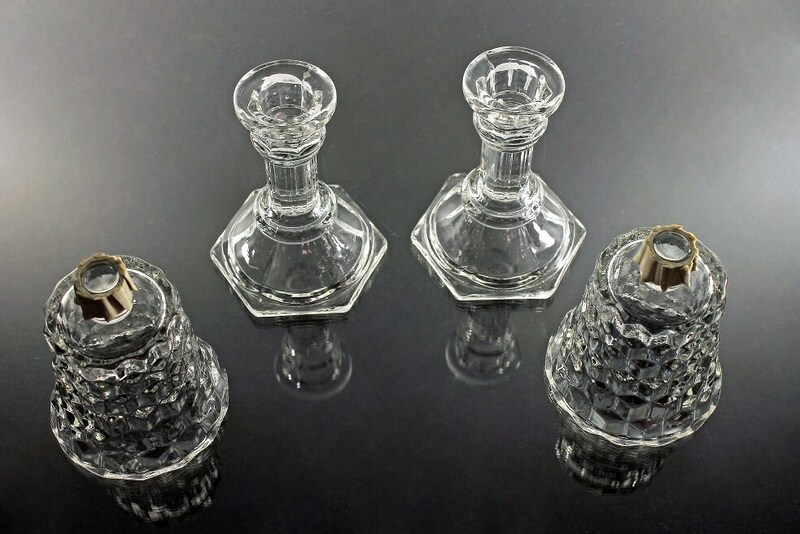 These can be used as regular candlesticks by removing the peg votive holders. 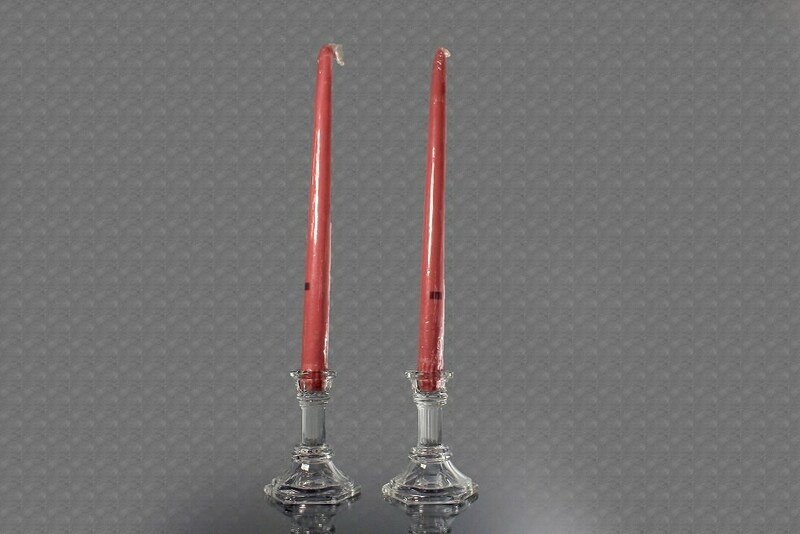 With the votive holders, they become elegant hurricane style lamps. 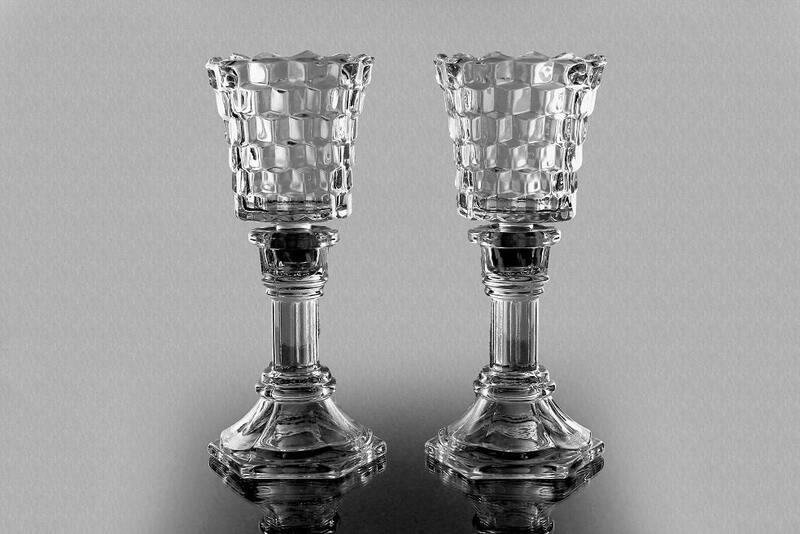 These would be a beautiful addition to your table, mantle, sideboard or buffet. 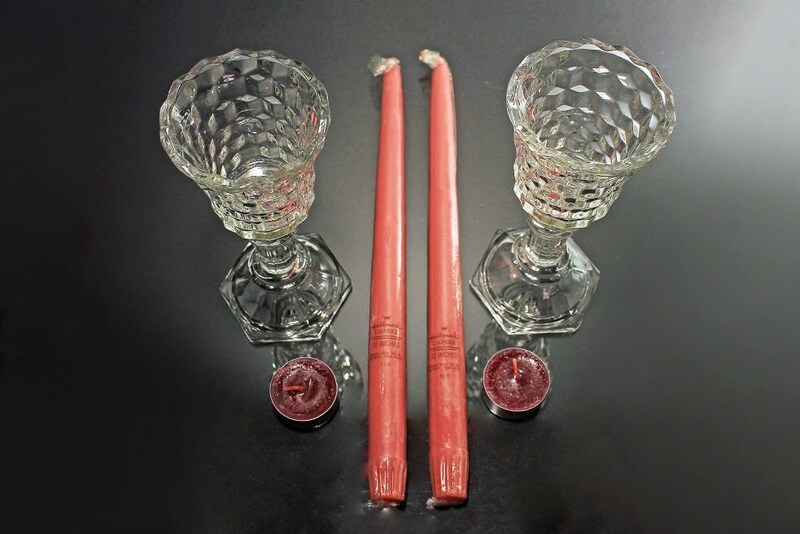 2 Pink 12 inch taper candles and 2 red tea lites are included. These are in excellent condition. There are no chips or cracks. This would make a great wedding shower, wedding, hostess, or housewarming gift. Treat yourself to this wonderful candle set.